During visits to Gainesville I am never quite sure where I should eat. About 3 years ago my friends and I discovered Dragonfly Sushi and it quickly became the default sushi spot to visit during trips to the University of Florida. However, my last visit to Dragonfly was less than satisfactory and prompted us to search for a new sushi spot during this visit. A Yelp search of the area yielded many restaurants with mixed reviews. We decided to give Ichiban Sushi a shot and I was glad we did. We arrived at about five in the evening, early birds by sushi standards. The restaurant was relatively empty and had a slight sports bar look with a bar in the middle and televisions with the current March Madness game playing around the sushi bar. We were quickly seated in a booth and the waitress was quick to get us our drinks and was a little pushy for us to get our orders in. There were a variety of items on the menu from Japanese cuisine to other Asian cuisines, such as Thai, but the general praise for sushi rolls here led me to the Bento Box 4 (~$16) and included shrimp and vegetable tempura, 5 sushi pieces (chef choice), a California Roll, Miso soup, house salad, and green tea ice cream. The waitress quick to put our orders in and our food did not take much time to reach our table. My friend ordered Ichiban’s katsu curry (which I sampled) and the presentation was oddly not Japanese (he is Japanese and noted that the katsu usually goes on top). The curry also had a peculiar taste to it and upon sampling it some more I noticed that the curry tasted like it was using Indian seasonings, not Japanese seasonings. It was definitely an odd item. 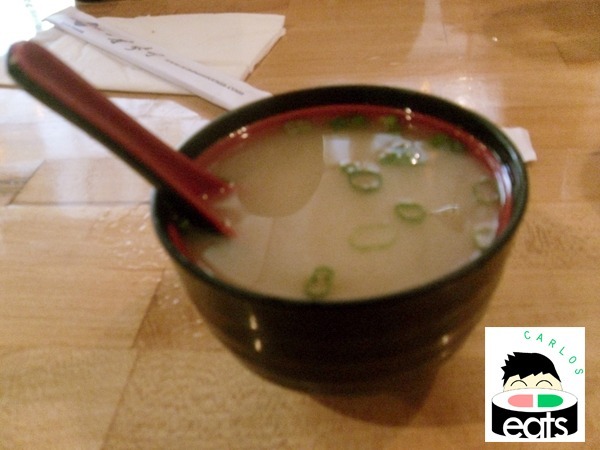 The miso soup was really good. It wasn’t bitter and actually was a little sweet. They put plenty of tofu inside and the tofu was appetizing. The soup bowls were smaller than some other restaurants, but it was still enough to start the meal off and satisfy my stomach before the main course arrived. The bento box was a little larger than I was expecting. The sushi that came with it looked fresh and I couldn’t wait to start eating. The California Roll was appetizing, but I should have asked for them to remove the cucumber (as usual it detracted from the taste of the fish). The ginger salad was fantastic and the ginger sauce on top tasted fresh. The shrimp and vegetable tempura tasted savory, but the batter was less flavorful than I am used to. 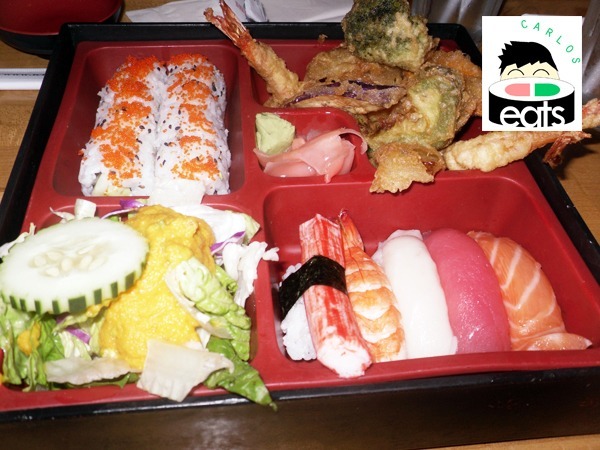 The best part was the sushi pieces which were fantastic and really hit the spot on flavor with or without soy sauce. The green tea ice cream that arrived after the box was a nice conclusion to the meal and I felt that the bento box special covered everything I wanted to have during a sushi visit. 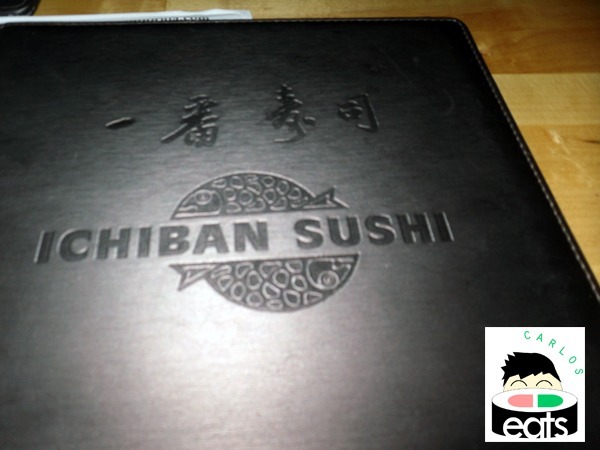 Overall, Ichiban Sushi provided a pleasant meal and a more affordable option to Dragonfly Sushi. The sushi was fresher and there were much more Japanese options (although they might want to work some more on their dishes authenticity). 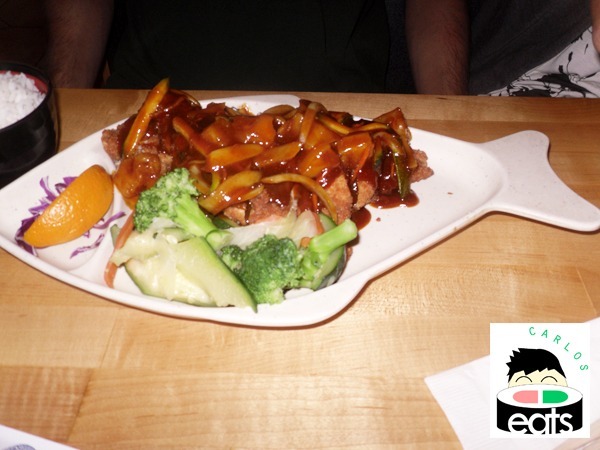 The service could have been a little better (our waitress disappeared every so often and didn’t stop by to check on us very often), but the food arrived quickly and for the most part were quite satisfied with our visit. I would recommend Ichiban Sushi to friends and would return during future visits to Gainesville.